Run the exe, it will ask to unzip to a folder inside of c:\Autodesk, make a note of the folder for later use (we’ll refer to it from here as c:\Autodesk\adt2012), now click OK. Wait until all of the files have extracted, when they do, note that the ADT 2012 setup will automatically launch – make sure you close the setup and move to the next step. Next, using the ‘…‘ button select the newly created c:\Autodesk\adt2012 folder, and click the ‘Convert‘ button. Once the conversion process is complete, simply click the “Install/Run Setup“ to start the setup. Now, just install as normal. then click the ‘Fix‘ button. Now you can happily run your AutoCAD Architecture 2012 32bit on Windows 7, Windows 8, Windows 8.1 and Windows 10 64bit! NOTE: We currently only US unlocked versions of 2004 on 64bit OS. European or locked US support 2004 is limited only to 32bit Windows 7, 8 and Windows 10. Now click the “Run Old Installer…” button. pick the newly installed c:\mdt2004 folder and click “Fix Old Program…“. Now you can run happily your MDT 2004 in Windows 7, Windows 8 and Windows 10 both 32bit and 64bit. 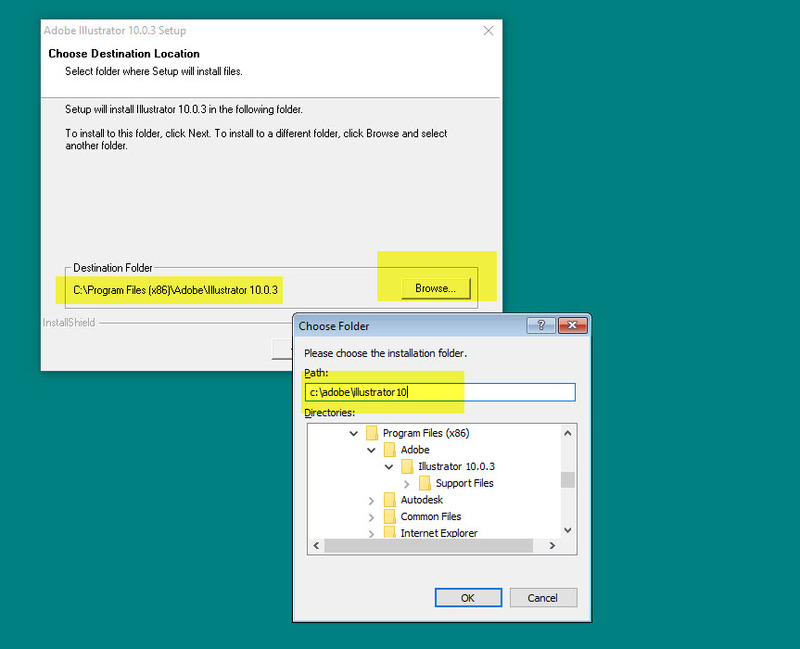 Run the Autodesk_Map_2016_English_Win_32bit_DLM.sfx.exe, it will ask to unzip to a folder inside of c:\Autodesk, make a note of the folder for later use (for simplicity sake, we’ll refer to it from here as c:\Autodesk\Map3d2016), now click “OK”. Wait until all of the files have extracted, when they do, note that the Map 3D 2016 setup will automatically launch – make sure you close the setup and move to the next step. Now, start the Longbow Converter tool, select the 1st tab, pick the c:\Autodesk\Map3d2016 folder, and click the Convert button. Once the conversion process is complete, click Install/Run Setup to start setup. Next, just install as normal. Windows 8, Windows 8.1 and Windows 10 users: Once the installation process is complete, go back to the Converter, select the 3rd tab, pick the newly installed C:\Program Files (x86)\Autodesk\AutoCAD Map 3d 2016 folder, then click ‘Fix Old Program‘. Now you can happily run your Map 3D 2016 32bit on Windows 7, Windows 8 and Windows 10 64bit! NOTE: DrafixCAD 3.0 is not currently supported on 64bit Windows, you will need 32bit Windows. Once you have clicked the final OK button the Reviver will force the setup.exe to start up. Be patient – it may take up to 90 minutes to start, so go and make some coffee! then click the ‘Fix Old Program‘ button. Now you can happily run your DrafixCAD! Run the exe, it will ask to unzip to a folder inside of c:\Autodesk, make a note of the folder for later use (we’ll refer to it from here as c:\Autodesk\Civil3d2011), now click OK. Wait until all of the files have extracted, when they do, the Civil 3D 2011 setup will automatically launch – simply close it and move to the next step. Now, start the Longbow Converter tool, select the 1st tab, pick the c:\Autodesk\Civil3d2011 folder, and click the Convert button. Once the conversion process is complete, click Install/Run Setup to start setup. Simply install as normal. Windows 8, Windows 8.1 and Windows 10 users: Once the installation process is complete, go back to the Converter, select the 3rd tab, pick the newly installed C:\Program Files (x86)\AutoCAD Civil3d 2011 folder, then click Fix. Now you can happily run your Civil 3D 2011 32bit on Windows 10, Windows 7 and Windows 8 64bit. Installing your AutoSolids 2K on Windows 7, Windows 8, Windows 8.1 or Windows 10 32bit or 64bit can be very easily defined in these short steps. Next, start the Longbow Converter tool and select the 2nd tab named “Old AutoCAD Installer Reviver”. 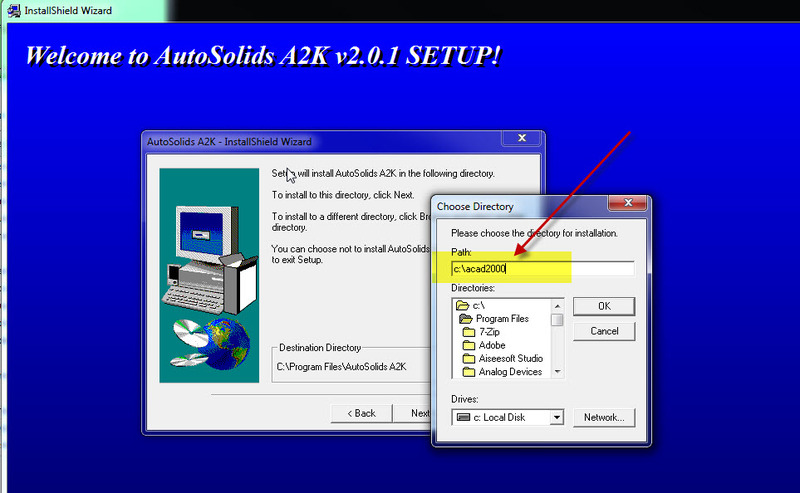 Using the “…” button pick the folder path c:\InstallDisks\AutoSolids2000 folder and click “OK”. Next, click the “Run Old Installer” button, it will start processing. Read and understand all prompts as they appear, before pressing OK to dismiss them. Now, I know it’s unheard of these days, but at this point expect to wait at least 45 minutes for your AutoSolids 2K setup.exe program to appear. Note: If your AutoSolids 2K setup does not start after 45 minutes, read the Troubleshooting section below. 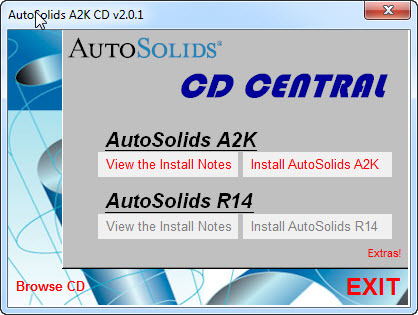 Now start AutoCAD 2000, your AutoSolids 2K should now be working as normal. If your AutoSolids A2K setup is not starting after 45 minutes, try rebooting, then restart the steps above. Once installed, go back to the Converter tool, select the 3rd tab named “Old AutoCAD Program Reviver“, pick the newly installed c:\mdt2004 folder and click “Fix Old Program…“. Once installed, go back to the Converter tool, select the 3rd tab “Old AutoCAD Program Reviver“, pick the newly installed c:\mdt2006 folder and click Fix. Now you can happily run your MDT 2006 on Windows 10, Windows 7 and Windows 8. Now run the *SP2.exe from Windows explorer to install. Install your 64bit ADT 2009 as normal. Once the installation process is complete, close the setup program then start the Converter software; select the 3rd tab named “Old AutoCAD Program Reviver“, pick the newly installed C:\Program Files\AutoCAD Architecture 2009 folder, then click the “Fix Old Program” button. Now you can happily run your ADT 2009 64bit on Windows 10, Windows 8 and Windows 8.1 64bit. 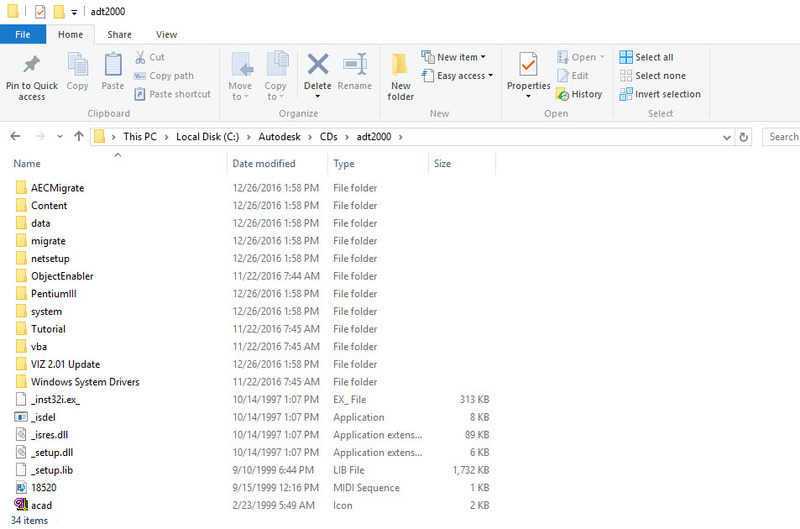 Run the exe, it will ask to unzip to a folder inside of c:\Autodesk, make a note of the folder for later use (we’ll refer to it from here as c:\Autodesk\adt2009), now click OK. Wait until all of the files have extracted, when they do, note that the ADT 2009 setup will automatically launch – make sure you close the setup and move to the next step. Now, start the Longbow Converter tool, select the 1st tab named “AutoCAD 32bit Installer Converter“, using the “…” button select the c:\Autodesk\adt2009 folder, and click the “Convert“ button. Once the conversion process is complete, click the “Install/Run Setup“ to start the setup. Windows 8, Windows 8.1 and Windows 10 users: Once the installation process is complete, go back to the Converter, select the 3rd tab named “Old AutoCAD Program Reviver“, pick the newly installed C:\Program Files (x86)\AutoCAD Architecture 2009 folder, then click ‘Fix’. Now you can happily run your AutoCAD Architecture 2009 32bit on Windows 7, Windows 8, Windows 8.1 and Windows 10 64bit! Next, using the “…” button, select your AutoCAD installation CD and follow the instructions presented by the Converter tool user interface. Once you have the setup running, go to the next step. When you arrive at the installation folder path setup dialog, **it’s vitally important to make sure you install to c:\ldt2004 (not C:\Program Files (x86)\Autodesk Land Desktop 2004 that is defaulted)**. Click the Fix Old Program button. Now you can run your Autodesk LDT 2004 on Windows 7, Windows 8 and Windows 10, both 32bit and 64bit. Now click the Fix Old Program button. Run the exe, it will ask to unzip to a folder inside of c:\Autodesk, make a note of the folder for later use (we’ll refer to it from here as c:\Autodesk\Civil3d2012), now click OK. Wait until all of the files have extracted, when they do, the Civil 3D 2012 setup will automatically launch – simply close it and move to the next step. Next, using the ‘…‘ button select the newly created c:\Autodesk\civil3d2012 folder, and click the ‘Convert‘ button. Windows 8, Windows 8.1 and Windows 10 users: Once the installation process is complete, go back to the Converter, select the 3rd tab, pick the newly installed C:\Program Files (x86)\AutoCAD Civil3d 2012 folder, then click Fix. Now you can happily run your Civil 3D 2012 32bit on Windows 10, Windows 7 and Windows 8 64bit. Copy your entire AutoCAD Autodesk Architectural Desktop 2i installation CD to your hard drive, to a folder path named exactly c:\Autodesk\CDs\adt2000 e.g. Now click “Run Old Installer”. The process will take a few moments to complete, then a dialog will appear – read and understand all the prompts before clicking OK.
For ADT 2000, the Migration Wizard almost instantly pops up, simply click Install 2000 as normal. Now, I know it’s unheard of these days, but at this point expect to wait at least 45 minutes for your ADT R2i setup.exe program to fully appear. During the final stages of the installation, simply ignore the fact the the ADT shortcut cannot be created, you will need to create this by hand once the installation is finished. Pick the newly installed c:\adt2000 folder and click ‘Fix Old Program‘. 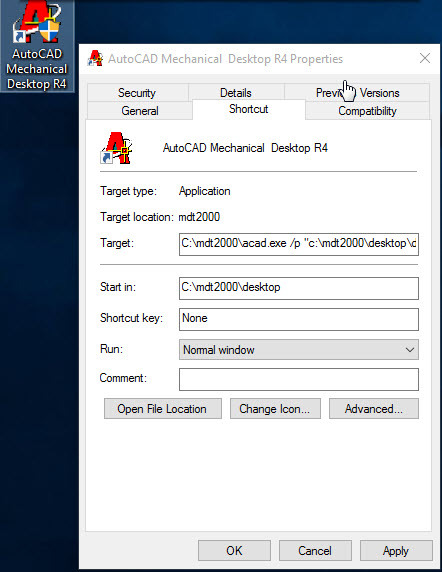 Now you can happily run your AutoCAD Autodesk Architectural Desktop 2i in Windows 7, Windows 8 and Windows 10! Make sure all previous installed versions of AutoCAD 2013 are uninstalled first. You will need to wait up to 45 minutes before seeing the Adobe Photoshop 6.0 setup screen appear, be patient! If you have waited 90 minutes and nothing has appeared, reboot into Safe Mode and try this same process again. Now you can happily run your Adobe Photoshop 6 on Windows 7, Windows 8 or Windows 10 32bit or 64bit! Start the Longbow Converter tool, select the 2nd tab “Old AutoCAD Installer Reviver”, pick the c:\Autodesk\CD\ldtr2000i folder, and click Run. Read and understand any/all the prompts the Converter pops up before pressing OK. If you see the “AutoCAD Land Development Desktop 2i Migration assistant” dialog appear, say “No” – we did not test that installation path. Start the Converter again, select the 2nd tab “Old AutoCAD Installer Reviver”, pick the c:\Autodesk\CD\CivilDesign2000i folder, and click “Run“. If the Converter asks you “What type of installer is this? – Is this a service pack , update or plug-in/app…?” – say “Yes”. Start the Converter again, select the 2nd tab “Old AutoCAD Installer Reviver”, pick the c:\Autodesk\CD\Survey2000i folder, and click “Run“. Next, start the Converter, select the 3rd tab “Old AutoCAD Program Reviver” select the c:\Autodesk\sp folder, then click Fix. If asked if this is a service pack by the Converter tool, say yes. Now run the ld2i_sp2_ul.exe as normal from Windows Explorer. NOTE: We have had the best success installing this product using our Converter solution on Windows 8 and Windows 10, in fact, we strongly advise using Windows 10 for this product. Start the Longbow Converter tool by double clicking the Longbow Converter shortcut on your Desktop… . Now click the “Run Old Installer” button. Read, understand and follow all the prompts. not being able to “…create the folder ‘AutoCAD Map Release 3”, you will have to create a shortcut on your computer Desktop to your c:\mapR14\acad.exe by hand. If you are getting either a Bad Mem Pointer error and or a Smartheap handler recursively re-entered error when you start your AutoCAD Map R3 then you need to re-run all the steps above, taking care to do each step precisely as it says. Simply run the exe, it will ask to unzip to a folder inside of c:\Autodesk, make a note of the folder for later use (we’ll refer to it from here as c:\Autodesk\ADT2015), now click OK. Wait until all of the files have extracted, when they do, the AutoCAD Architecture 2015 setup will automatically launch – simply close it and move to the next step. Now, start the Longbow Converter tool, select the 1st tab, pick the c:\Autodesk\ADT2015 folder, and click the Convert button. Once installed, we recommend you disable the AutoCAD Communication Center/InfoCenter toolbar as it uses a lot of memory, causes slow startup and most people don’t use it anyway! Now you can happily run your AutoCAD Architecture 2015 32bit on Windows 7, Windows 8, Windows 8.1 and Windows 10! Installing Softdesk 8 Landscape for AutoCAD R14 on Windows 7, Windows 8, Windows 8.1 and Windows 10 32bit or 64bit can be very easily defined in these short steps. Start the Longbow Converter tool, select the 2nd tab, pick the c:\Autodesk\landscape folder, and click Run. Next, read and understand all the prompts before pressing OK… Now, I know it’s unheard of these days, but at this point expect to wait at least 45 minutes for your Softdesk setup.exe program to appear. Once the setup starts, install as normal (simply accept all defaults). Next, start your AutoCAD R14. Once AutoCAD starts up fully, simply type “preferences” at the command line, select the Profiles tab, double click the Softdesk profile and make it the Current Profile. Finally, OK out of the Preferences dialog. If your setup is not starting after 45 minutes, try rebooting, then restart the steps above. 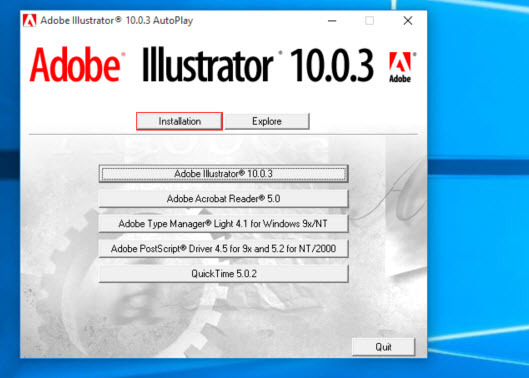 You should soon see the “Adobe Photoshop 7.0” setup splash screen with another window in the bottom right saying “Adobe Photoshop 7.0 Setup is preparing the Installshield(R) Wizard which will guide you through the rest of the setup process. Please wait“. Now you can happily run your Adobe Photoshop 7.0 on Windows 7, Windows 8 or Windows 10 32bit or 64bit! If when you start Adobe Photoshop 7 it complains that “…the scratch disk is full” it’s because your hard drive is very big – try uninstalling, then reinstalling onto a USB thumbnail drive, preferably below 2GB in size. 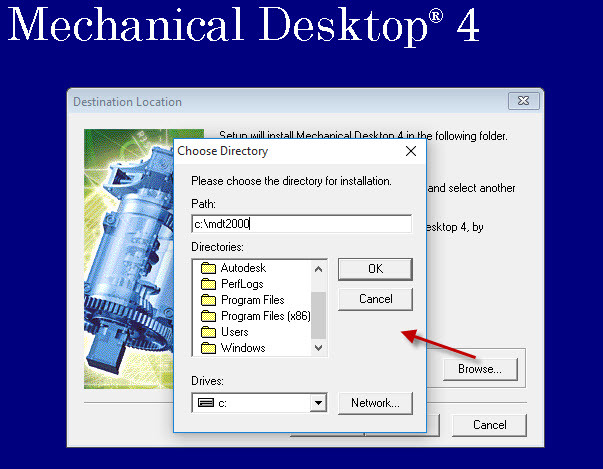 Installing your Autodesk Mechanical Desktop R4 (otherwise known as MDT 4 and built on the AutoCAD 2000 platform) on Windows 7, Windows 8, Windows 8.1 and Windows 10 32bit or 64bit can be very easily defined in these short steps. Read and understand all the prompts before pressing OK.
Now, I know it’s unheard of these days, but at this point expect to wait up to 45 minutes for your Mechanical 4 setup.exe program to appear. Do not reboot once the install is complete. 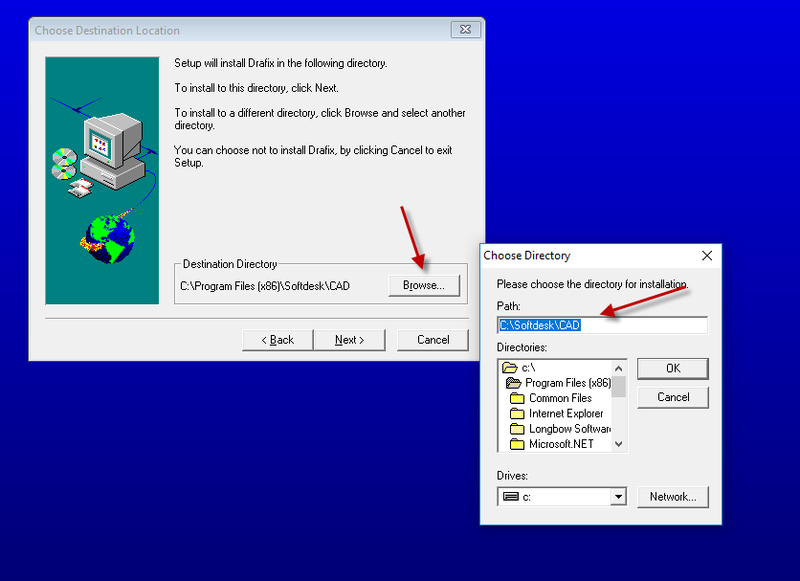 Ignore any errors related to not being able to create the shortcut folder “Mechanical Desktop 4”, you will have to create a shortcut on your computer Desktop pointing to your c:\mdt2000\acad.exe by hand. If you see errors stating errors with objectdbx.z or dao2535.tlb – please reboot your machine and re-do all of the steps above. Once you click “OK” to setup not being able to create your shortcut folder “Mechanical Desktop 4” – setup may now try to install Acrobat Reader 3.01. If this happens, you will see a blue Mechanical Desktop 4 screen with nothing on it, it will sit there for maybe 60 minutes, just let it do its thing and be patient. Eventually, you will see the Acrobat setup appear, install accepting all defaults. When the MDT 4 setup asks if you want to “Install the Mechanical Desktop Migration Assistant” say No. Now you are ready to run your AutoCAD, simply run c:\mdt2000\acad.exe using Windows Explorer. Add a shortcut (recommended) to c:\mdt2000\acad.exe making sure that the Target Property of the shortcut is set to (including quotes) “C:\mdt2000\acad.exe” /p “C:\mdt2000\desktop\desktop.arg” and the Start In Property is set to the same path as the .arg file e.g. At the AutoCAD Command line, type the command ‘Preferences’, add new Support path folders c:\mdt2000\acadm and then also c:\mdt2000\acadm\support, now click ‘Apply’ and then ‘OK’ out of the dialog. When you are back in AutoCAD, type ‘Menuload’ at the command line, click browse, then navigate to C:\mdt2000\acadm\support, change the file filter at the bottom to *.mnu, then open acadm.mnu, finally click Load, then pick Close.